Apple has announced the nice little update for all its iPhone and iPad users. 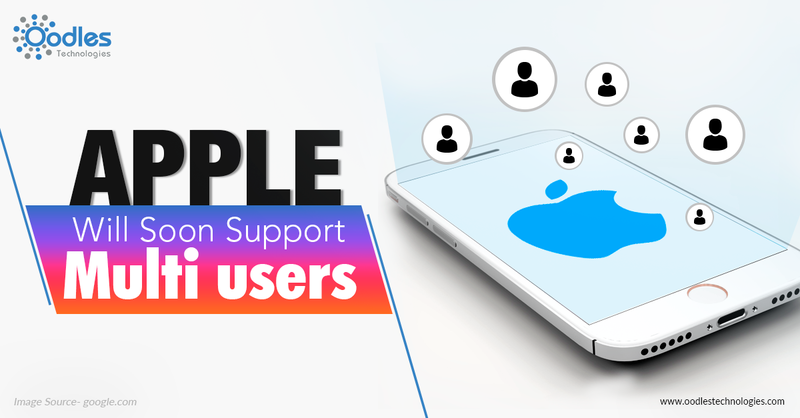 The company has introduced the multi-user support this would allow you to share your device with the group of people such as family, friends, employees. This was announced during the on-stage presentation on the launch of new iPad 2018. Apple’s VP talked about the all new Shared iPad feature. All they have to do is pick up an Ipad and iPhone and write their name to log in and the iPad and iPhone will become theirs. The device will open with their wallpaper and apps. Apple’s new feature is quite similar to Google’s multi-user feature. Google has the multi-user support since 2012 on its Android tablets and on phones as well. Where you can log into any Chromebook with your id. Though the feature “shared iPad” is not new, it was introduced in March 2016. But then its was restricted in the education sector. Apple has told that they have been testing this feature for quite some time now, experimenting unlocking with camera front facing and many more. But the drawback was, it was not available to everyone. This feature will now make your iPhones and iPads more important than ever before. Your device will require cloud-based synchronization model which will help in persisting data between apps. Still have a doubt on, why this feature is awesome? Well, it is great for the fact that now you don't need to spend your money on buying multiple pads for your family members. They all can share that one iPad. This way all the members will have there apps ready whenever they want to use it without any confusion. So, this feature is something that everybody can take advantage of, without any additional cost. All It requires is the good internet connection.